Monmouth University made a coaching change Friday. Coach Jen Palmateer was relieved of her duties after 6 years. Now the question is where does Monmouth go from here. WHO ARE THE LEADING CANDIDATES? I would be very careful assuming Monmouth U would not keep Jody Craig as there coach. There is a lot of basketball left in this season. I have had a number of friends on the west coast tell me, she can really coach. She certainly will be given a chance to prove that. Marylin McNeil is known for giving her coaches every chance to be successful. I believe she wants Coach Graig to succeed. There are no leading candidates for this job, I will tell you why. The poll of CANIDIATES if the Monmouth job opens will be deep as in real deep. Monmouth will have a massive pool of talent to choose from. WHAT ARE THE STRENGTHS OF THE MONMOUTH JOB? This is flat out the best mid major job on the east coast. This could be Marist when they were rolling and a better example is Quinnipace today. Monmouth could be both of these programs on steroids. Here why. The facilities at Monmouth resemble a Power 5 program. They have big time offices, big time lockerrooms, full time secretaries? Next the support staff is again much like a Power 5 program. Full time strength and condition coaches, a first class medical staff that inculdes DR. FOO( one of the best in the country). They say administrations win championships. If that is true this administration is desperately trying to win one because they have supplied the Monmouth women’s basketball coach with all the tools needed to be successful. Monmouth U is fully funded, while they only have 14 of the 15 scholarships allowed. They did not even use the 14th and no question that will not be a deal breaker for the next coach. Finally the location is off the charts, beaches, malls and NYC, PHILLY are all a hop away. Finally they are a highly respected Academic institution and have that all important thing called FOOTBALL. Next Monmouth is located in the girls basketball CAPITAL of the country. More importantly this just may be the most talented classes coming up in recent years. For this blog, I did a D1 lock count and a Power 5 count. A D1 lock means a player has a offer or I predict the player will sign with a D1 school. Rarely if ever am I wrong in this matter. There are currently a staggering 56 D1 players in the Shore( not counting NBS shore adopted players). There are 6 power 5 locks in the Shore and two 8th graders with power 5 offers on the table ALREADY. Get the picture? The next Monmouth coach is walking into a potential gold mine. WHAT ARE THE NEGATIVES OF THE MONMOUTH JOB? I honestly have trying to think what are the negatives. The only thing I could come up with, is the salaries of the asst coaches are not in line with the Top Mid Majors. More money gets more experienced assts coaches who stay with the program. WHAT SHOULD MONMOUTH LOOK FOR IN IT’S NEXT COACH? This is tough and here is why. Most will focus on wins and losses. But unless you have inside information, nobody really knows what matters to the administration. They may be looking for a coach, who mixes well with current athletic staff. They may want a coach who can fund raise. They may want a coach who relates to kids more than X and Os. They may way want a recruiter. They may want a young coach that will grow with the program. They may want a coach who is older, more experienced and organized. The truth be told unless you are part of the administration, there is no way to know. In fact Monmouth may not even put together the criteria for what they are looking for in a coach. WHAT ARE THE PROBLEMS FACING THE NEXT COACH? There is no way of getting around it. The next coach must build positive relationships with local High School and AAU coaches. Monmouth must must corner the talent in their backyard. By having relationships with the community, it will allow them to know who the best recruits and players are before there competitors. This is not King Rice and the men’s staff at Monmouth. The Shore boys have maybe one or two D1 players a year at most. It’s not urgent for them to have a relationship with the boys Shore coaching community. The girls have as many as 23 in a year and they become stars at the next level. The next coach must build strong relationships in the Shore. The next coach must have an asst coach knowledgeable of the Shore area. James Young is well liked and understands the Shore landscape. The problem is, he’ been there only 5 months. 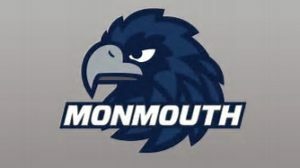 The next coach must put together a quality staff, this has been a MAJOR PROBLEM at Monmouth, who have changed staff almost every year, starting from Coach Palmateer’s first year…this may go back to MONEY. Finally the next coach must know the best young players in the area. No more telling example of this is MONMOUTH currently has NOT offered one player in the Shore. This includes LOLA MULLANEY, FAITH MASIONIOUS, DESTINY ADAMS, KARMARI REYNOLDS, SOPHIA SABINO(whose mother played at MU) and 8th graders JUSTINE PISSIOTT AND 6’3″ ALI CARMEN for example. Why do I bring this up…all these players have power 5 offers on the table NOW. Even if Monmouth can’t sign them. They can get sign them if they transfer back home and more importantly they can BUILD RELATIONSHIPS with these players current coaches down the road.